The SEO Newsletter is hot off the virtual press! In April’s Penguin & Panda Evasion Edition, readers will get inside information on what to expect from the upcoming Penguin update, how to ensure your content meets Panda standards and how to maintain long-lasting customer relationships. 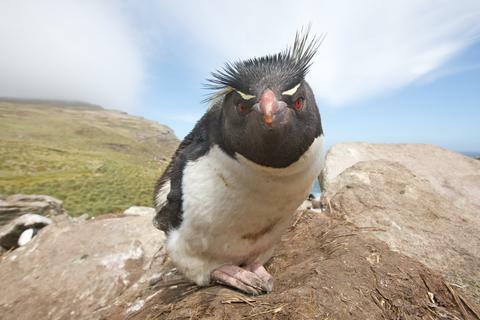 In the SEO Newsletter’s Penguin & Panda Evasion edition, Bruce helps you stay off this guy’s bad side. Yikes! In Expecting and Escaping Google Penguin’s Wrath, I interviewed Bruce to find out what we can expect from the Penguin update. At last month’s SMX West conference, Matt Cutts said, in no uncertain terms, that a Penguin update was on its way. Bruce shared advice on how to stay on the Google’s good side and avoid Penguin-associated penalties. We didn’t forget about Penguin’s friend Panda. While Penguin seeks to obliterate sites using black hat SEO techniques, Panda is on a mission to sink low-quality sites, like those with duplicate, unoriginal content. Therefore, Virginia set out to discover how Panda processes curated content. A series of tests performed last year show that curation with enhanced annotation, or “Editorialized Curation,” is SEO-Friendly Content Curation in a Post-Panda World. Content curation is the practice of collecting, organizing and presenting content (like news articles, blog posts, infographics, etc.) around a topic. Knowing that not all businesses have the luxury of an in-house media team, content curation can be a useful and time-saving tool that generates frequent, quality content that has SEO ranking potential. The Tips for Long Lasting Customer Relations series continues with tips on Customer Interaction and Communication. Bruce Clay Australia SEO analyst Manuel Keppeler shares twelve key best practices when it comes to interacting with customers and clients. The SEO Newsletter also has the latest on Google Glass and information on the highly-anticipated SMX Advanced, where both Bruce and Virginia will be speaking, plus a roundup of all the tech, SEO and SMM news that was big in April. If you like love the SEO Newsletter, you can get it mailed directly to your mailbox by signing up. Does anyone have an ETA for this Penguin update? Everyone has been talking about it for months now…. Many are awaiting this refresh, thought it was going to happen in April? Hopefully in May, anyone?